Although both are stones and both are quarried from the earth, granite and marble (and marble’s relatives – limestone, onyx and travertine) are very different from each other. Granite is formed deep in the earth’s mantle at extremely high temperatures, and is a very hard, resistant stone made of crystallized minerals. The marble family – starts out as sediment – animal skeletons and shells, plant matter, silt – at the bottom of bodies of water. After millions of years this solidifies into stone. Because its main component is calcium, it can be affected by acids such as vinegar and citrus beverages. The term “granite” is used to cover a group of related stones, all of which have their origin deep in the earth’s molten mantle. As this extremely hot liquid material rises and cools, it forms a crystalline, granular structure, hence the term granite. Granite and other granite-like stones are formed of hard minerals such as quarts, feldspar and mica, which are fused together into a very hard stone ideal for kitchen counters because its polish is resistant to household acids such as citrus and vinegar and is hard enough to resist scratching from knives and pots and pans. Why do we recommend granite for kitchen tops? Because granite is very hard stone that’s formed at very high temperatures deep in the earth, its polish is not subject to etching by household acids, or scratching by knives and pots and pans. It’s unaffected by typical kitchen heat such as hot pans, or spilled liquid. Marbles that have a honed finish will not etch because its surface starts out with a matte finish. 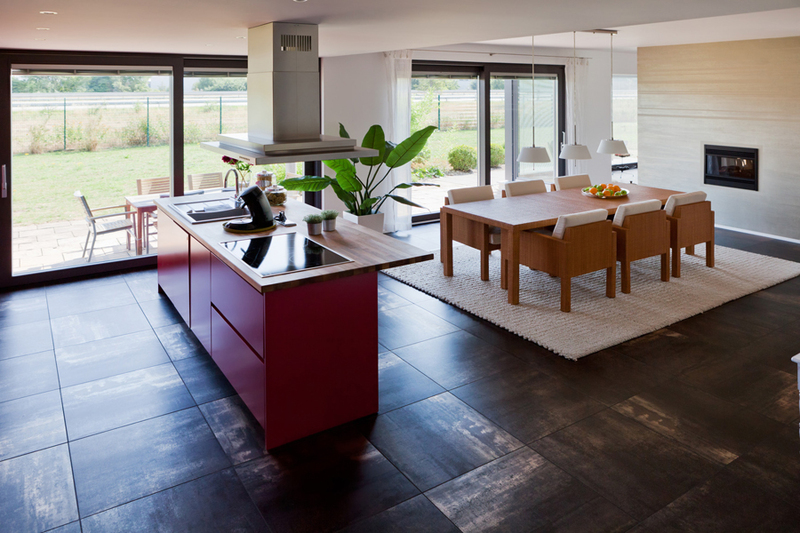 Because marbles (and limestone and travertine) are calcium carbonate, the polished surface is more vulnerable to household acids including vinegar, mustard, catsup, citrus and a host of other food-related products. These acidic substances cause a chemical reaction which will remove the polish. Additionally, marble and limestone can scratch easier than harder stones such as granite. Marble is, however, sometimes used in the kitchen as a pastry boards and a great cooling surface is ideal for rolling out dough and piecrusts. Limestone is sedimentary rock consisting mostly of organic material such as skeletons and shells of marine creatures and sediments. It is formed by material which settles to the bottom of bodies of water, and over millions of years, solidifies into solid rock. Earth movements over extremely long periods of earth’s history can lift limestone miles into the air. The summit of Mount Everest is limestone that started out on an ocean floor. Like Marble, limestone is venerable to surface changes in longer periods of time. Where certain acids like vinegar, harsh cleaning products and so forth. On a hone ( non-polish ) limestone etches will be less noticeable, where a more semi-polished limestone will appear to have more rough etches surface. What are the different finished surfaces? Honed – A flat to low sheen gloss. Different levels of gloss can be selected. This surface is smooth, but often is very porous. This texture is common in high traffic buildings. Honed stone colors are not as vibrant as polished stone. Polished – A glossy surface that wears away with time due to heavy foot traffic and using improper maintenance procedures. This surface is very smooth and is not very porous. The shine comes from the natural reflection of the stone’s crystal. Flamed – A rough surface that is developed through intense heat. 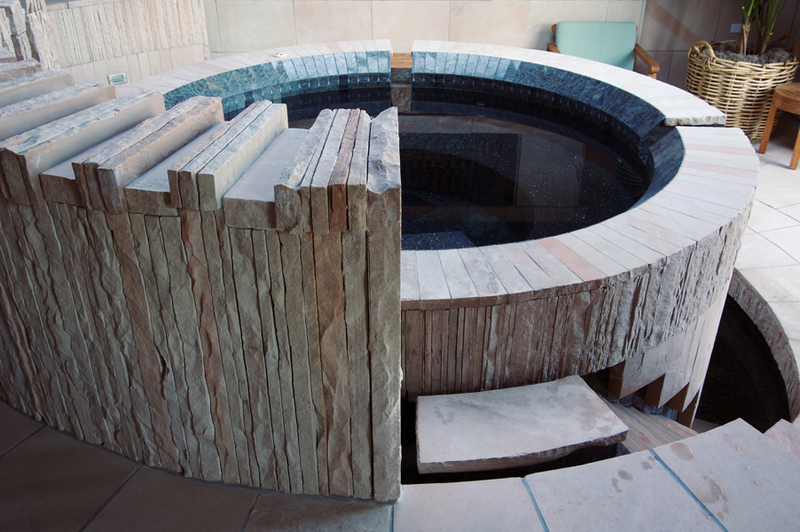 During fabrication, the stone is heated up and the crystals begin to pop, thus forming a rough surface. Tumbled – A slightly rough texture that is achieved by tumbling small pieces of marble, limestone and sometimes granite to achieve a worn appearance. Sand Blasted – This surface is the result of a pressurized flow of sand and water that provides a glossy texture. Sawn – A coarsely polished finish achieved by using a gang saw. Etching happens when acid in some form comes in contact with a polished marble or limestone surface. This causes a chemical reaction, which removes the polish, or roughens the surface of honed marble or limestone. Green marbles, such as the “jades” from China are resistant to etching, and granite is impervious to any common household acids. If your surface exceeds the length of a granite slab, it is necessary to seam the joints where two slabs are joined. 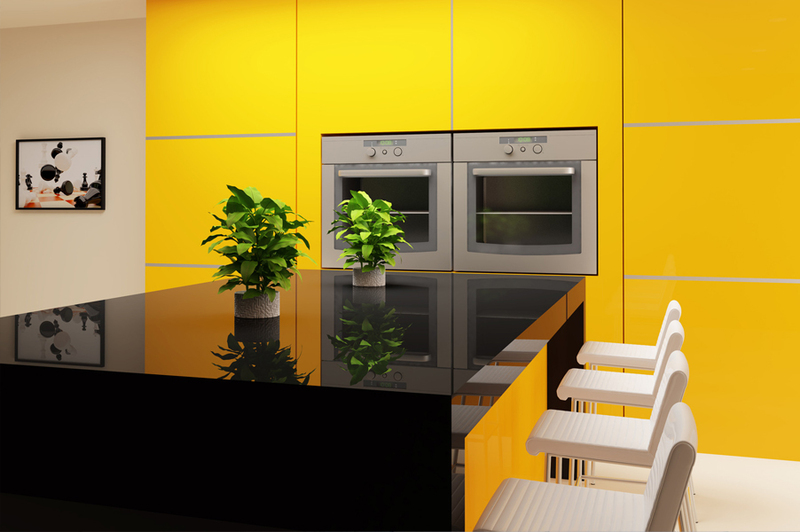 Corian™ (Acrylic composite) surfaces are often able to avoid seaming. For large applications, Corian™ also requires seaming. Once you have made your decision to proceed and have submitted your initial (50%) deposit, we will schedule a field measurement within one week. From there, your fabrication and installation typically takes two or three weeks. Payments can be made with any major credit card ( Visa and Master Card ). You may also pay by cheque either in person or to one of our sales representatives. Do I have to seal my counter top? Since most mineral surfaces are porous they absorb liquids, which may result in discoloring and staining. Although there are many commercial grade products available on the market which may bring the stone to its original luster, taking simple precautions and regular maintenance can save a lot of trouble and cost. All of our marble and granite tops are sealed immediately after they are installed. The impregnating substance penetrates the stone clogging most of its pores making it quite impervious to alcohol, juices, soft drinks, cosmetics, cleaners, coffee, food and even oil. With the course of time, depending on how heavily the tops are used, the sealer gets worn out. The clear indication of this happening would be the fact that the liquids are easily absorbed into the stone leaving temporary (if promptly wiped off) stains. You should re-seal your marble every six months and your granite every 12 to 24 months. For best results, it is recommended to use the same sealer which was used initially.